Notes We hang our collective head in shame. It’s taken us over two years to feature something by Neville Brody. Then again, in our defence, it’s not the work he’s most famous for. 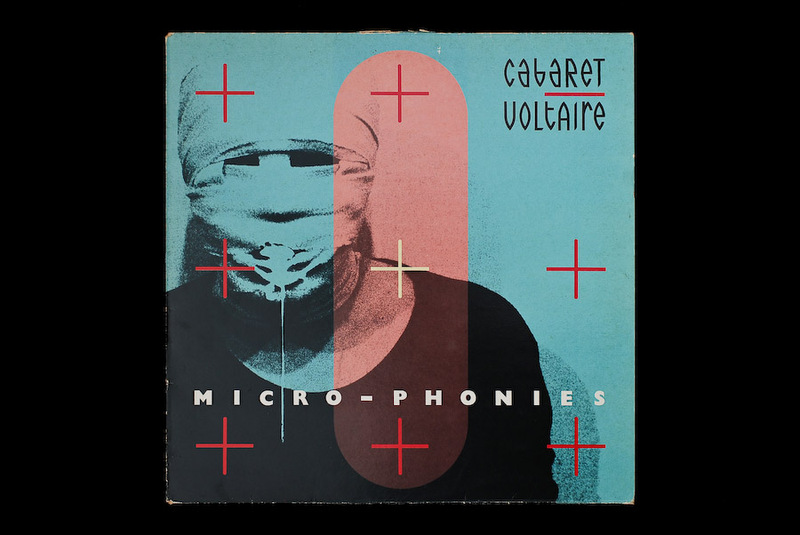 Micro-Phonies though is an absolute beauty with its hints of wayward surgical procdures, gunsights and typesetting. That recurrent elastoplast shape really reminds us of the shape used by Matthew Barney in the Cremaster Cycle. 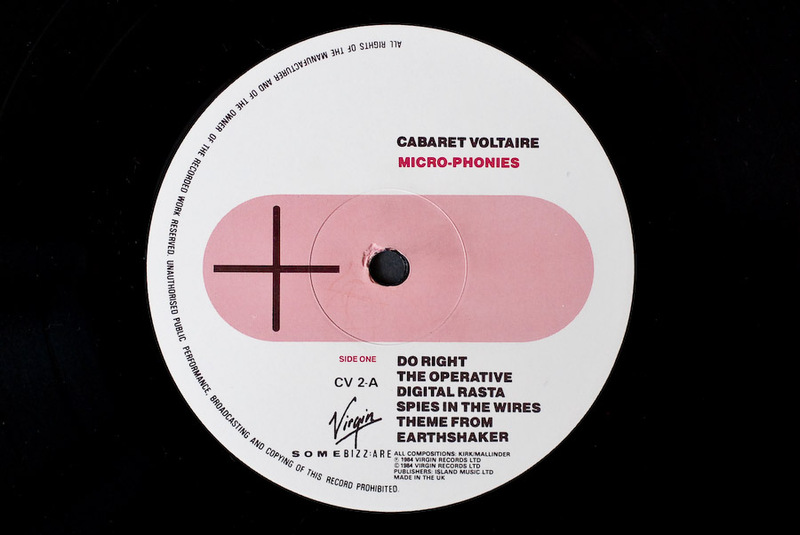 Some ’80s graphic design looks all too steeped in that decade’s questionable values, but this transcends its time. And you have to love that font. Micro-Phonies, surely? (In your title.) The title was from an old comedy film, as I recall, The Three Stooges or similar. Brody says in one of his books that the crosses were meant to imply the marks you see on outer space photography. He used gunsight shapes for a later CV release. I always preferred his design for The Crackdown, album and singles, over this one, especially the way he adjusted the design across three different releases. 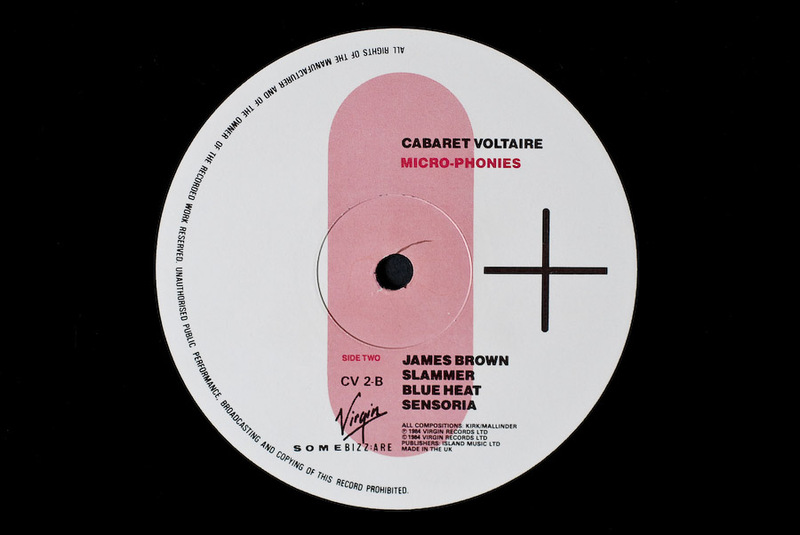 It’s also my favourite CV album so I suspect that colours the appreciation. 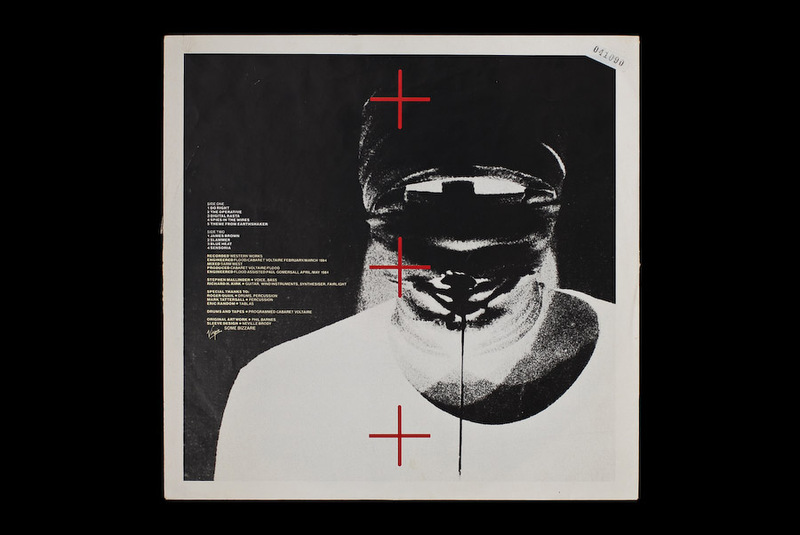 The snaking layout of the type for that album’s inner sleeve was a revelation at the time. Truly arresting design. I also really liked the album. Same with “The Arm Of The Lord”. One of the first album sleeves that really grabbed me when I was studying Graphic Design at college. 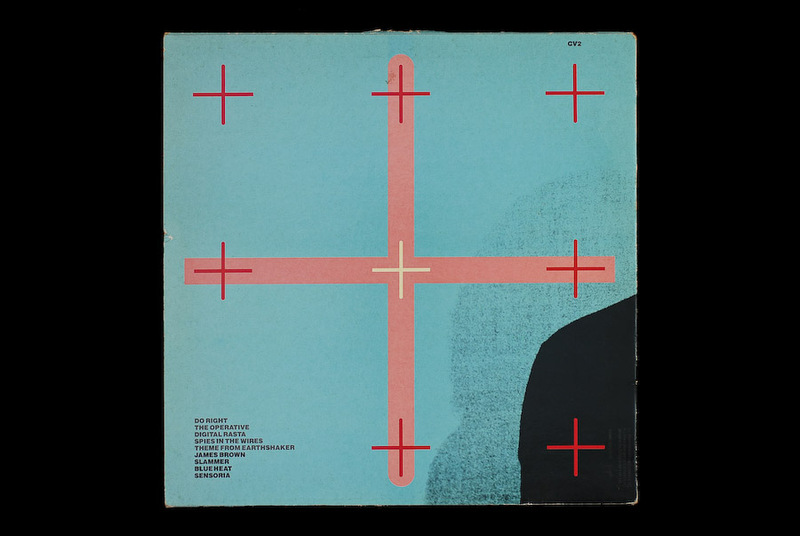 Neville Brody’s design for the music industry was nothing short of brilliant. On another note, the opening track ‘Do Right’ is epic. More musical genius from the ‘City of Steel’. 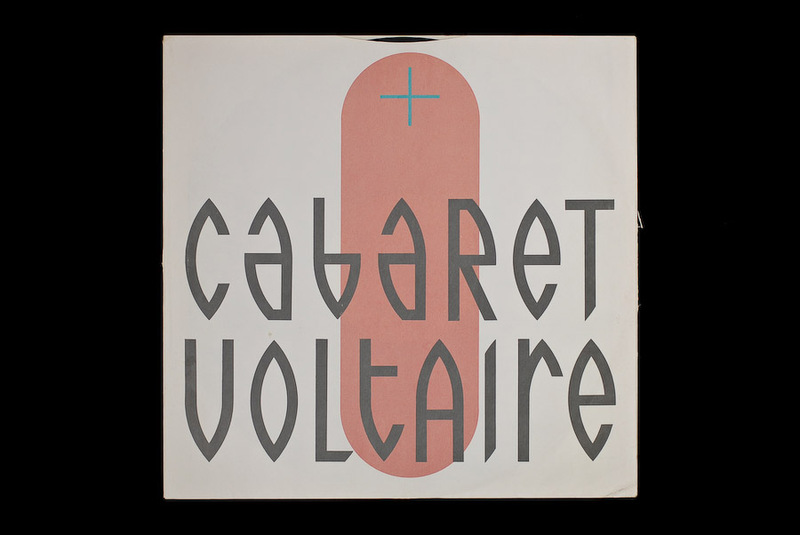 I couldn’t get enough of the music (and design) of Cabaret Voltaire in the eighties. This is good – as is The Crackdown – but for me the starkness and interaction of the envelope-style release of 2 x 45 left a deeper impression. Matt black outer/metallic silver liner, mmm….